Arden Christian School is a ministry operated through Arden Missionary Baptist Church that provides strong Christ-centered biblically based education using the ACE curriculum for grades 1-12. We are conveniently located in Arden near the Enmark Gas Station on Hendersonville Road. 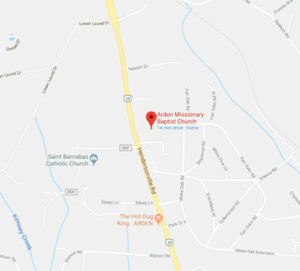 Food ministry outreach: Arden Missionary Baptist Church operates a food ministry to help those who may need food within the church as well as those in the community. Whether you have a question for the Pastor, a prayer request or a Praise Report, we would love to hear from you today!